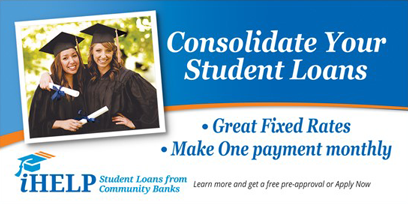 Lake Country Community Bank works with the iHELP Student Loan program to provide you an attractive private student loan that can help you to cover that gap. *Please note that by clicking the link below you are leaving the Lake Country Community Bank Web site, and going to the iHELP website. 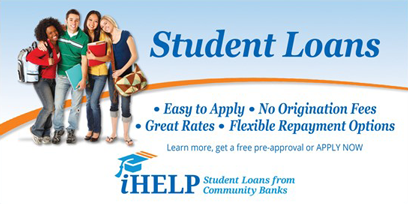 iHELP Student Loans offers Private Student Loan Consolidation for college graduates. Consolidating your Federal, Parent Plus and Private student loans is a great way to reduce your monthly payments and simplify your life.